You will find below the horoscope of Lynndie England with her interactive chart, an excerpt of her astrological portrait and her planetary dominants. Horoscopes having the same aspect Moon trine Neptune (orb 0°14'): Keanu Reeves, Mahatma Gandhi, Prince (musician), Charlize Theron, Demi Lovato, Tyra Banks, Katie Holmes, Pink (singer), Yannick Noah, Sean Penn, William Shakespeare, Winston Churchill... Find all the celebrities having this aspect. Horoscopes having the same aspect Jupiter square Midheaven (orb 1°40'): Vladimir Putin, Jim Morrison, Marlon Brando, Alyssa Milano, Jimi Hendrix, Manuel Valls, Florent Pagny, Serena Williams, Elizabeth Hurley, Jeff Bezos, Mika (singer), Jules Verne... Find all the celebrities having this aspect. Celebrities clicked on in real-time: 577,148,184 times. Lynndie Rana England (born November 8, 1982 (birth time source: Sy Scholfield, Astrodatabank)) is a former United States Army Reserve soldier who served in the 372nd Military Police Company. She was one of eleven military personnel convicted in 2005 by Army courts-martial in connection with the torture and prisoner abuse at Abu Ghraib prison in Baghdad during the occupation of Iraq. Born in Morehead (Rowan County), Kentucky, England moved with her family to Fort Ashby, West Virginia, when she was two years old. She grew up as the daughter of a railroad worker, Kenneth R. England Jr., who worked at the station in nearby Cumberland, Maryland, and Terrie Bowling England. Here are some character traits from Lynndie England's birth chart. This description is far from being comprehensive but it can shed light on his/her personality, which is still interesting for professional astrologers or astrology lovers. 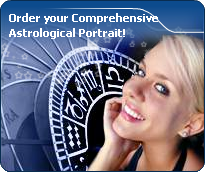 In a matter of minutes, you can get at your email address your astrological portrait (approximately 32 pages), a much more comprehensive report than this portrait of Lynndie England. Lynndie England, the nocturnal North-western quadrant, consisting of the 4th, 5th and 6th houses, prevails in your chart: this sector favours creativity, conception and some sort of specialization or training, with helpfulness and relations as strong components. You need others' cooperation in order to work properly, although you are not very expansive: creating, innovating and thinking are what matter most to you because this self-expression enriches you and totally satisfies you. The predominance of Water signs indicates high sensitivity and elevation through feelings, Lynndie England. Your heart and your emotions are your driving forces, and you can't do anything on Earth if you don't feel a strong affective charge (as a matter of fact, the word "feeling" is essential in your psychology). You need to love in order to understand, and to feel in order to take action, to the detriment of a certain vulnerability against which you should learn to fight. Cheers for communication and mobility, Lynndie England! The predominance of Air signs in your chart favours and amplifies your taste for relations and for all kinds of short trips, whether real (travels) or symbolic (new ideas, mind speculations). You gain in flexibility and adaptability what you lose in self-assertion or in pragmatism. Earth qualities are under-represented in your chart, with only 7.57% instead of the average 25%. Deficiency in Earth may indicate that you have no interest in material and concrete values. It is likely that you live too much in your heart or in your mind, or even in your enthusiasm! The fact remains that you may end up in tricky situations, due to your lack of good sense or forethought: material life is unavoidable even if you are rather idealistic, dreamy, or easily content. You must tackle concrete life necessities, for fear of... being forced to cope with them, later, in much more unpleasant ways! Cadent houses, namely the 3rd, 6th, 9th and 12th houses, are very emphasized in your chart, Lynndie England. They indicate important potential for communication, adaptability and flexibility. These houses are symbolically linked to the mind and intellect. The relative weakness implied by these characteristics indicates your tendency to hesitate or to be indecisive, but also your remarkable ability to start off again, which is a nice quality, finally: you can easily get yourself out of a tight spot thanks to your mobility and casualness, in the best sense of the term. This group of houses corresponds to evolutionary characteristics of your personality. However, they are only indications and you must include them in the rest of your chart in order to see whether they are validated or not! In your natal chart, the three most important signs - according to criteria mentioned above - are in decreasing order of strength Scorpio, Leo and Gemini. In general, these signs are important because your Ascendant or your Sun is located there. But this is not always the case: there may be a cluster of planets, or a planet may be near an angle other than the Midheaven or Ascendant. It may also be because two or three planets are considered to be very active because they form numerous aspects from these signs. After this paragraph about dominant planets, of Lynndie England, here are the character traits that you must read more carefully than the previous texts since they are very specific: the texts about dominant planets only give background information about the personality and remain quite general: they emphasize or, on the contrary, mitigate different particularities or facets of a personality. A human being is a complex whole and only bodies of texts can attempt to successfully figure out all the finer points. You are the very type of the researcher endowed with great intellectual and imaginative capacities, Lynndie England, and your curiosity is very deep. Researches, riddles and mysteries appeal to you and with a remarkable sixth sense and intuition, you endlessly try to unearth the truth, in all areas, like a psychoanalyst or a detective. You are a very secretive and introverted person, you find it difficult to open up and you rather prefer psychoanalysis. In spite of your clear-sightedness, you find it hard to deal with people: your critical mind, tinted with irony and causticity, may be destructive, especially since your determination and your stubbornness do not incline you to giving up. You are fond of provocations and you handle contradictions skilfully even though you may come across as dishonest. You cannot dissociate love from passion, Lynndie England. Your feelings are immediate, imperious, intense, and it is absolutely impossible for you to think of an amorous relationship without fusion, without the irresistible desire to know everything about your partner: emotions, feelings, sexuality, everything must be experienced in a possessive, absolute and unrestricted way. Actually, your feelings are as complex as they are deep. You seldom love, but when you do, a burning ardour and its torrid, violent frolics consume your couple. It is obvious that such powerful feelings may lead to jealousy and absolute exclusivity, almost bordering on the will to control your partner. If your relationship is genuine, all is fine. But if it is not the case, there are real dangers of shared wounds within your couple; it is hard to reconcile passion with tranquillity and it is clear that for you, sentimental serenity involves a partner who is either as complex as you and who instinctively understands you, or who is complementary, and as calm and steady as your impulses are intense and deep. Lynndie England, you are so resistant and so solid that you are able to cope with any challenge, any ordeal. You behave with persistence, rigour and discipline. You are so obstinate and patient that no effort is impossible to you, as if sensitivity and emotions were unable to divert you from your goals. With calm and lucidity, even coldness, you face up to things and you plan on a long-term basis. Nothing and no one can prevent you from fulfilling your responsibilities. You are a rock, a hard worker, and your iron will equals your resistance to blows. Your practical sense is at the service of your ambition which is real and energetic, even though it may not be obvious. Sexually, you are active and vigorous. If you show more warmth, you may become an excellent lover; indeed, being demonstrative is not your major concern. This text is only an excerpt from of Lynndie England's portrait. We hope that it will arouse your curiosity, and that it will prompt you to deepen your knowledge of astrology, as well as to visit and use the wide range of free applications at www.astrotheme.com.